story on Monday 19th March. But can he keep his promises? We'll get an expert view. We'll tell you all you need to know. a story to get the heart racing! in the booming fitness sector. 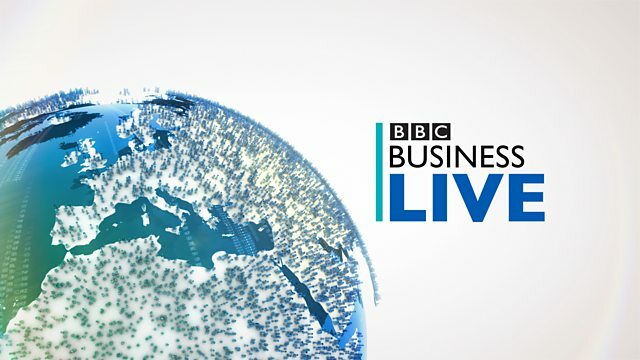 Just use the hashtag #BBCBizLive. in and out of recession. a third lower than its peak. That is a figure from 2016.
with a 50% rise by 2025.
just 13.2% of the economy in 2016.
at the Henry Jackson Society. the 2014 annexation of Crimea. economy? The economy hasn't crashed. fell by 40%. So it is all relative. the other stories making the news. into the firm's pension fund. without the users' explicit consent. through his own Facebook page. to say on Sunday morning. idea to a major corporation. kept pace with the growth. onerous for the Facebook model. to political propoganda as well. and we were so your comments later. Yi Gang as its next governor. he has been there quite a while. example, Samsung shares were hit. products, the iPhone and the iPad. Let's start with that Apple story. for the companies supplying Apple. curry favour with the presidency. slightly gone their own way. in a slightly different environment. them as being more sinister. election, any thoughts on that? much in quite a while, ironically. on the business of staying in shape! the Chief Executive of Travelodge. employ a lot more people. shortfall of Labour post Brexit. Live - our top story. up 6% from a year earlier. who go to the gym. you a bit of support. of these guides since 2013.
a fresh food delivery arm. of London Muscle is here. really need to start a business. Or maybe just at home. people can train anywhere they like. structure. I could go on and on. problem, but people give up. peer pressure if you like. for coming in, really interesting. BBC business life web page. how they then use it. or in terms of business. power of the MPs on this. been passed on to other companies. anything like that could happen. off Facebook, best thing I ever did.